It has been a while since my last visit to Delft and I decided to explore the city further than the occasional visit to the IKEA store. 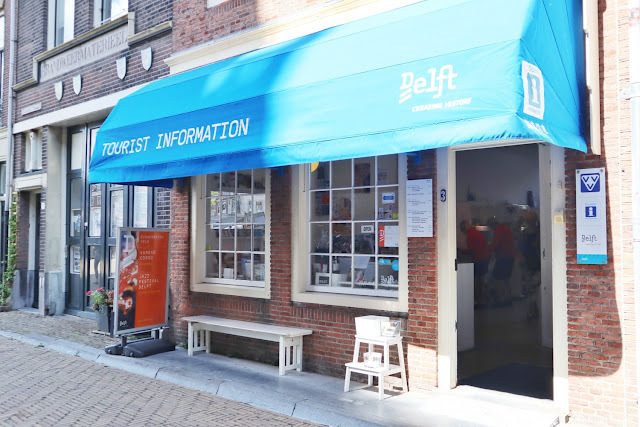 This time, I even especially went to the tourist information center of the city Delft to find more information. Just like a tourist from another country, I didn't know much about the city, so I looked at the city in the same way. This is the first time, I saw the city hall of Delft in person. 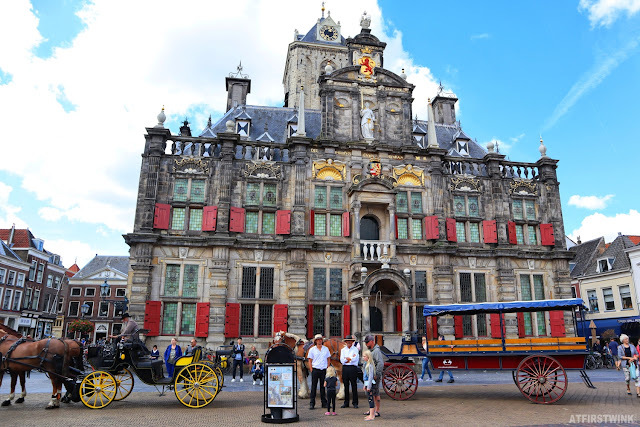 It is a very colorful and detailed building with two different horse carriages parked in the front, with which you can tour the city. 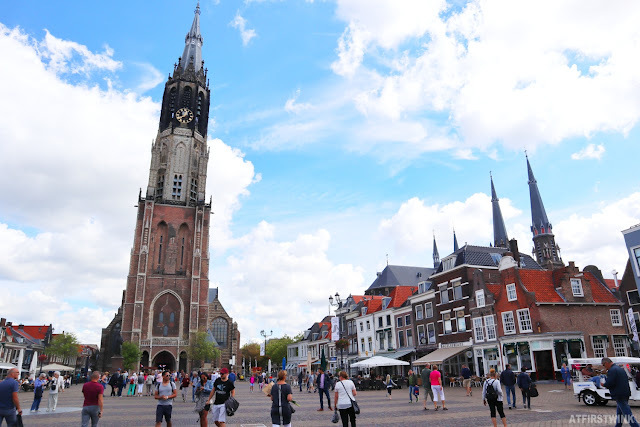 Across the Markt square, opposite of the city hall, you can see the New church. On the left of the New church, you can find the tourist information center in a small alleyway. 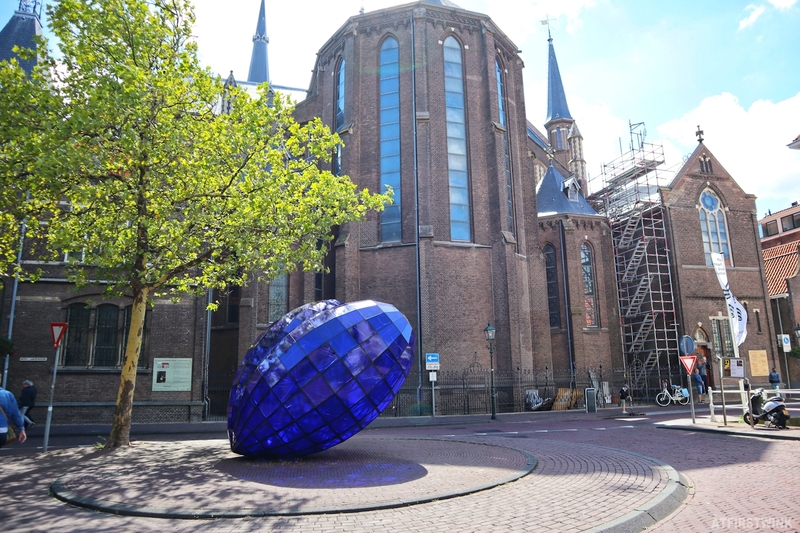 At the back of the new church, I discovered this blue gem artwork and it looks very beautiful under the bright sun. It is called the Blue heart (in Dutch: het Blauwe hart) and it is created by the artist Marcel Smink. 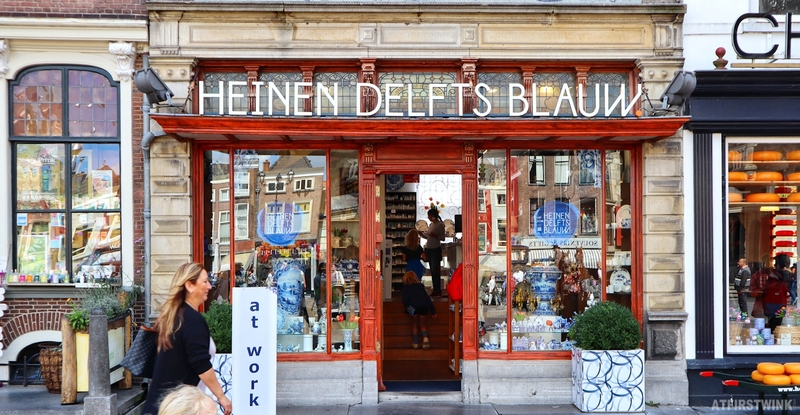 Back at the Markt square, you can pay a visit to the Heinen Delfts Blauw store (selling the traditional Delft Blue pottery), the Cheese and More shop with a lot of different kinds of cheese (with free sampling and a picture spot with cows and cheese in front of the store), and the small Vermeer museum with reproductions of this famous painter.